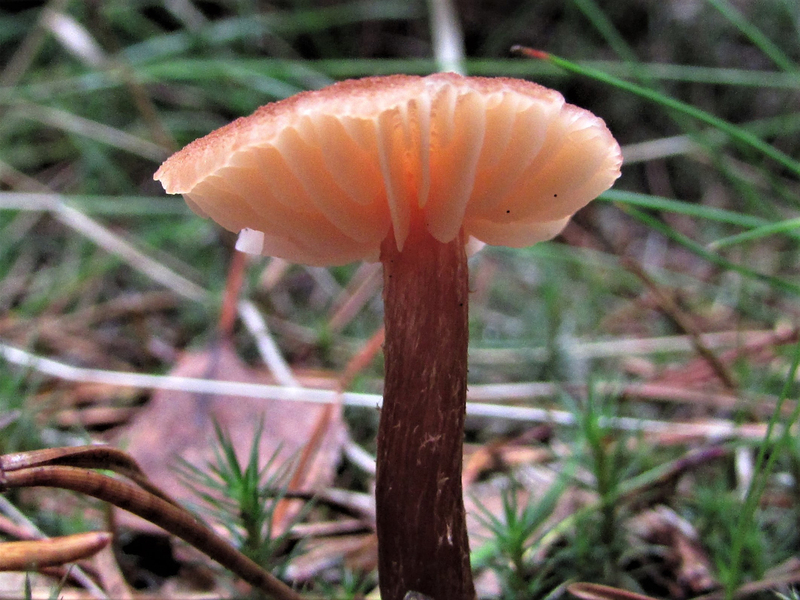 A small red waxcap that is fairly easy to identify as it has a scurfy cap unlike most other waxcaps which have smooth, greasy caps. 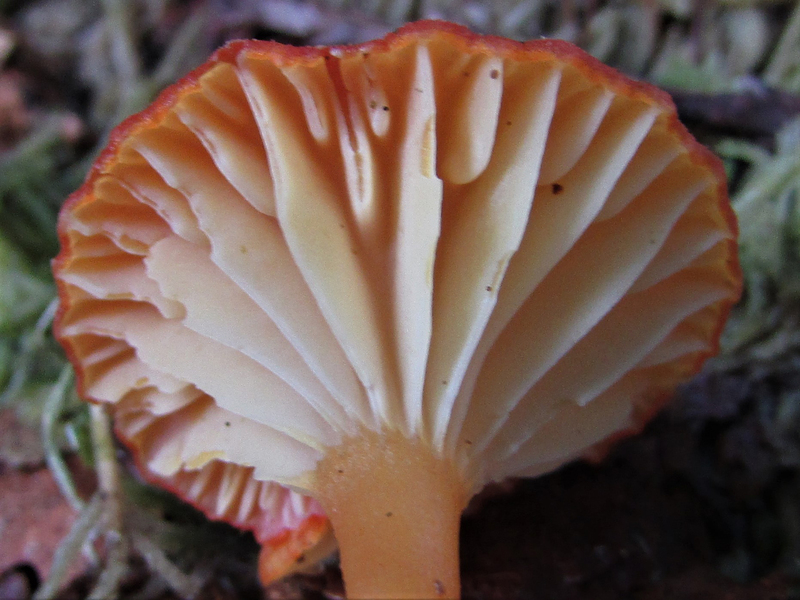 Being fairly rare and small this beautiful mushroom, although edible, is better to admire and photograph than to pick for any reason. 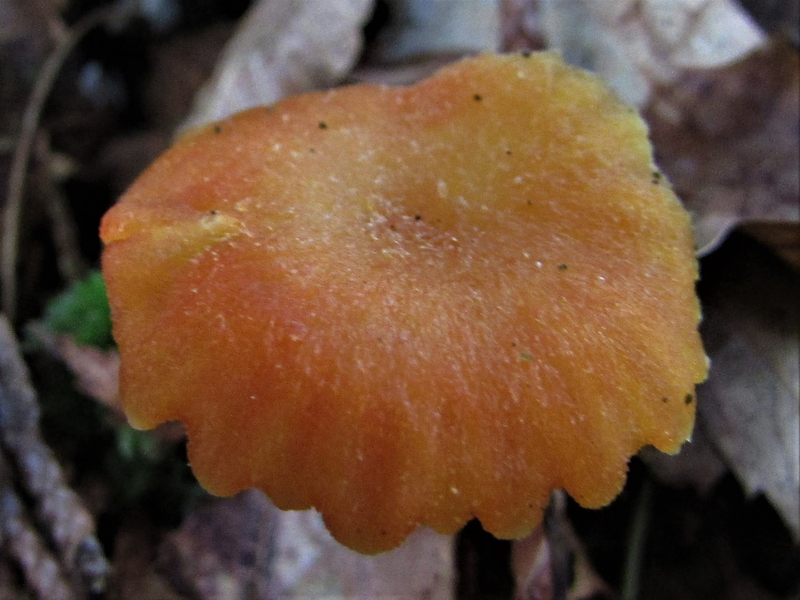 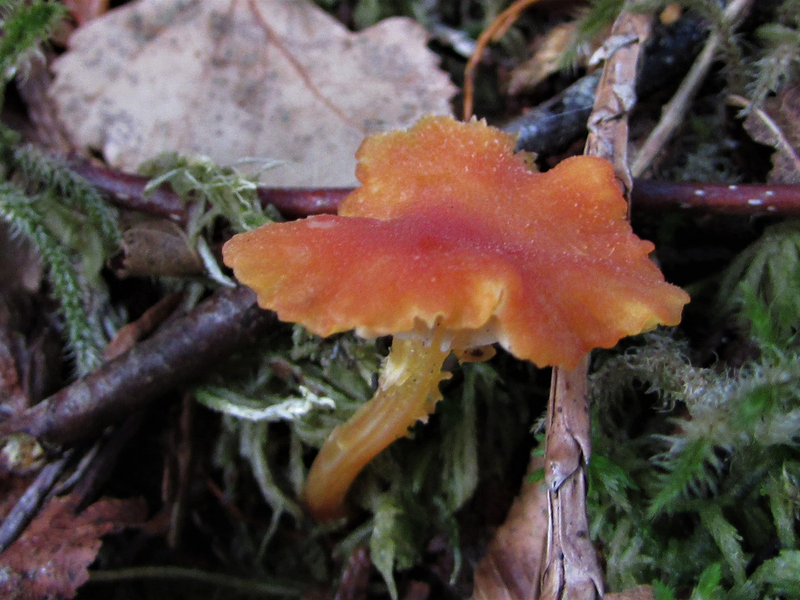 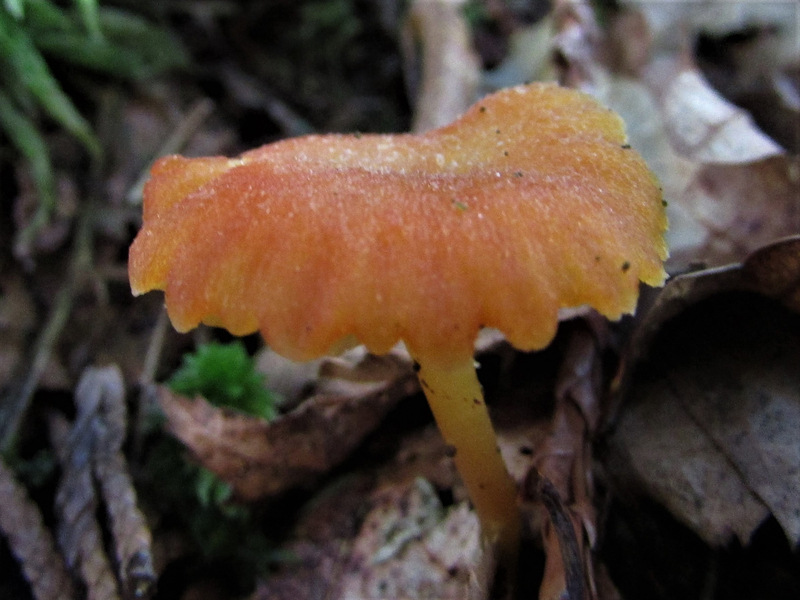 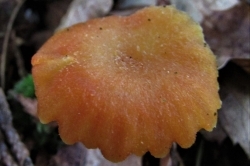 Has a dry, scurfy cap that starts red but fades to orange yellow with age. 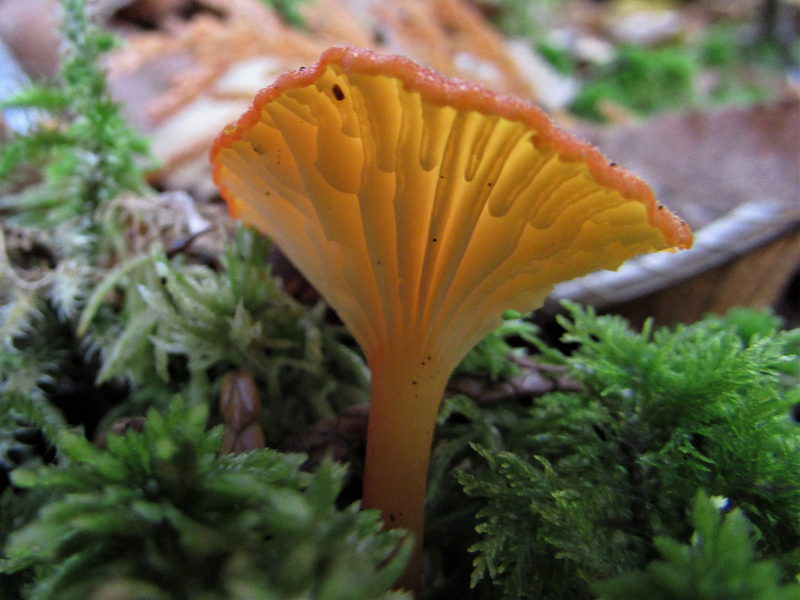 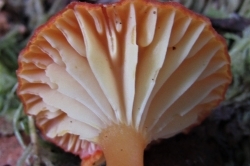 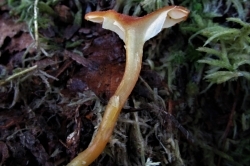 Pale yellow widely spaced gills which can have an orange or red hue. 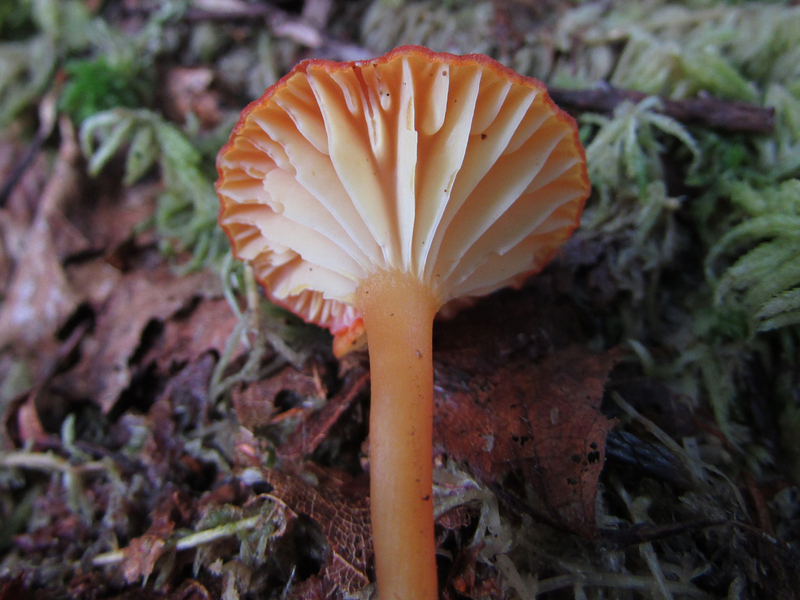 Concolourous with the cap and smooth. 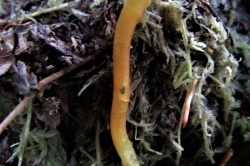 The flesh is thin and off white. 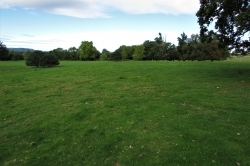 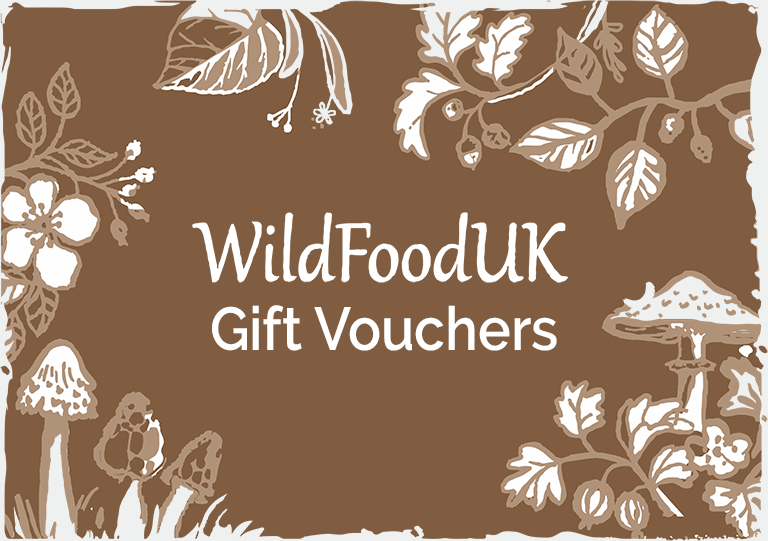 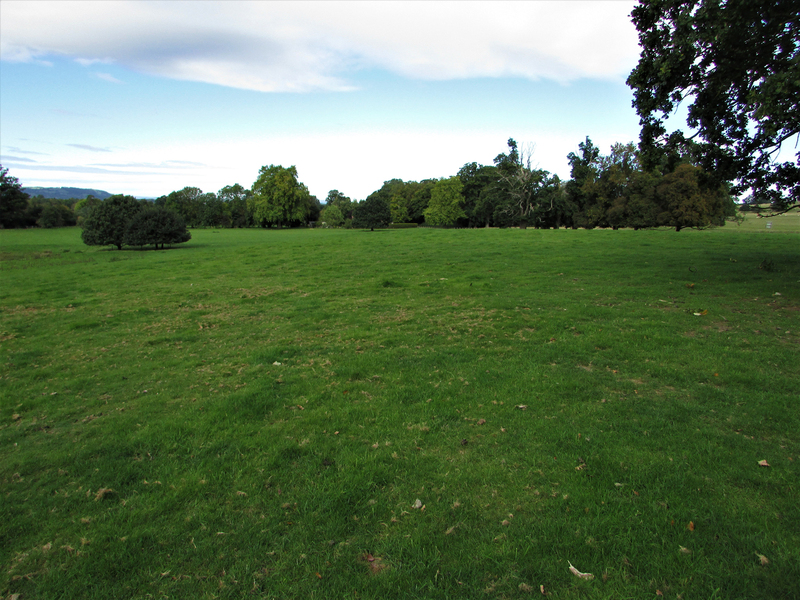 In pastures, fields with short grass and open woodland. 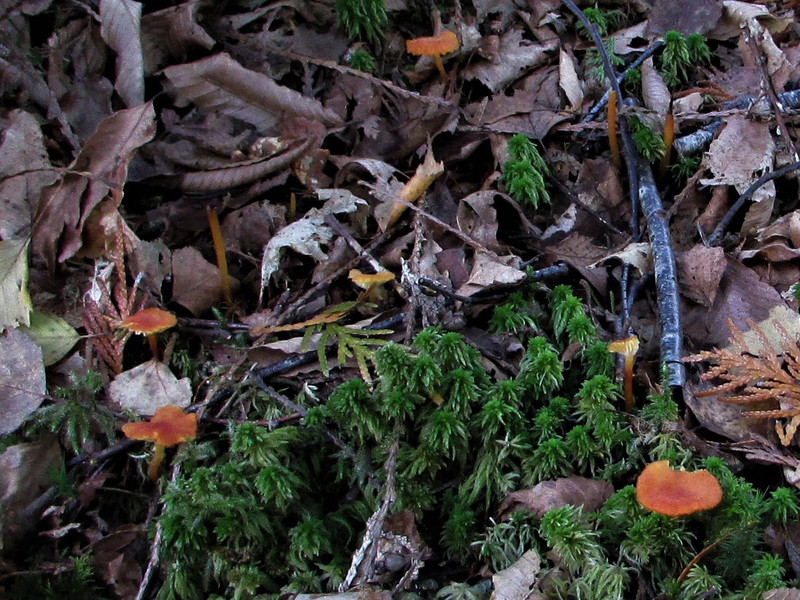 Some of the other small red waxcaps but these have greasy caps unlike the miniatas scurfy cap. 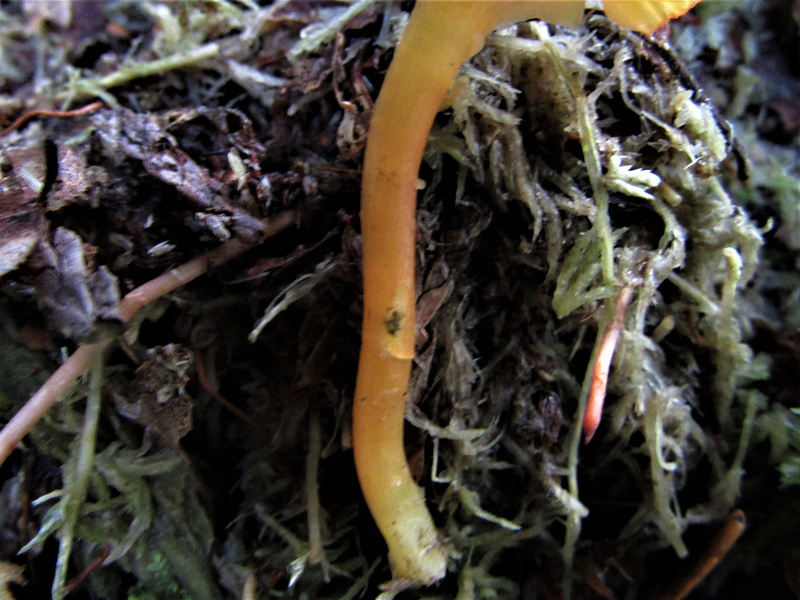 Mushroomy but this mushroom is very small and is best left in the ground. 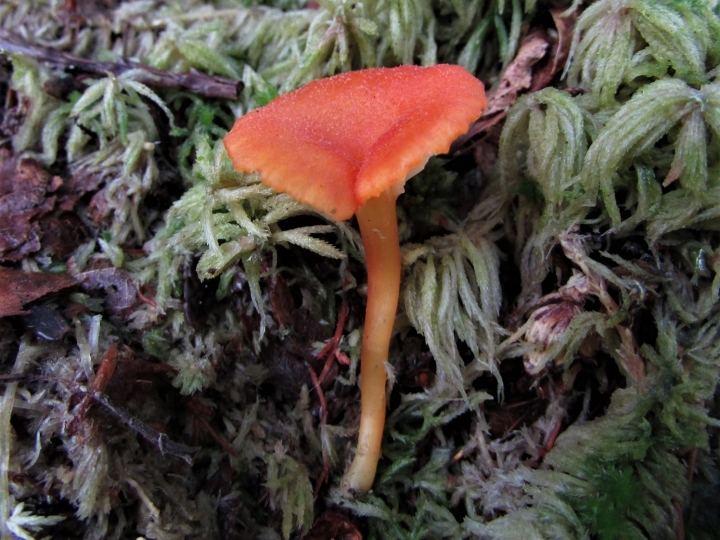 Waxcaps don’t like to be disturbed or sprayed so will be found where fields and woodland have been left alone. 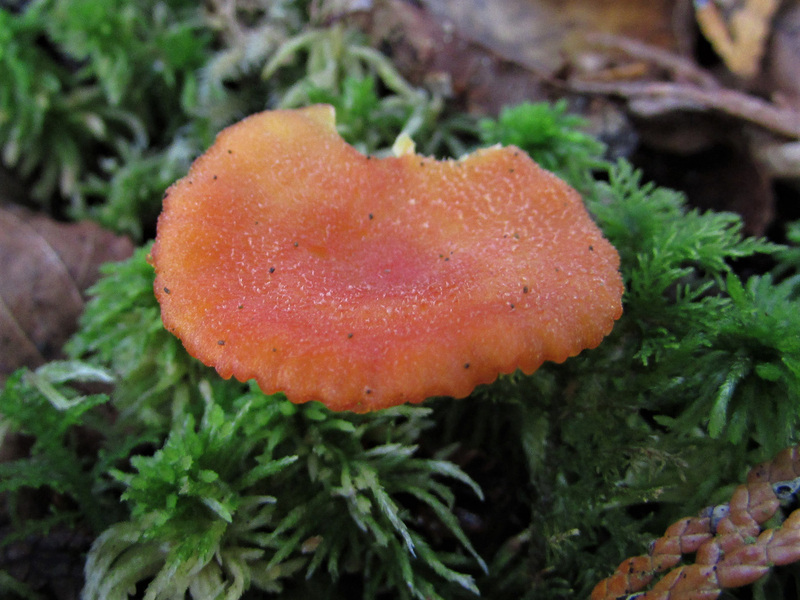 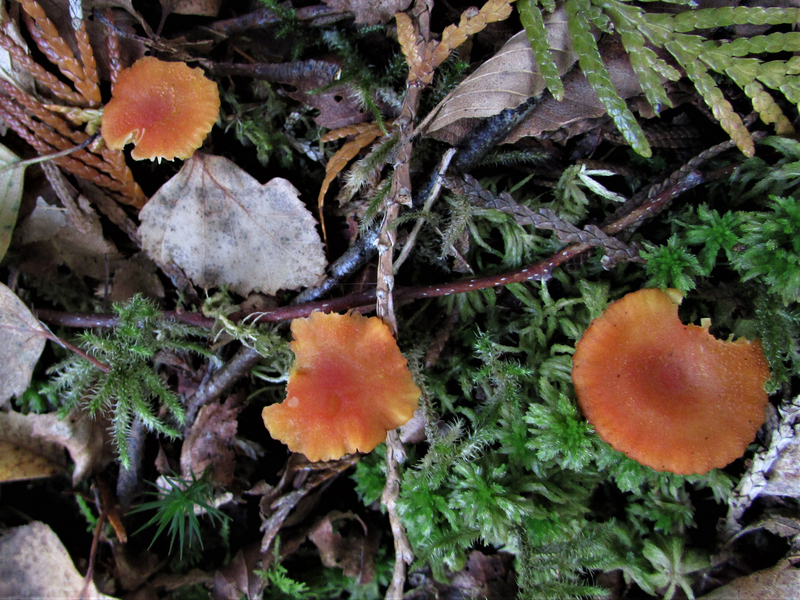 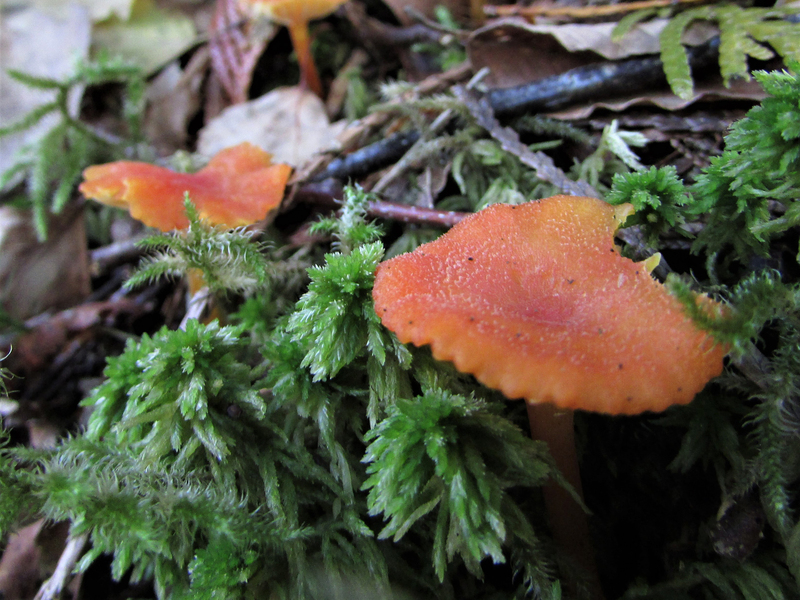 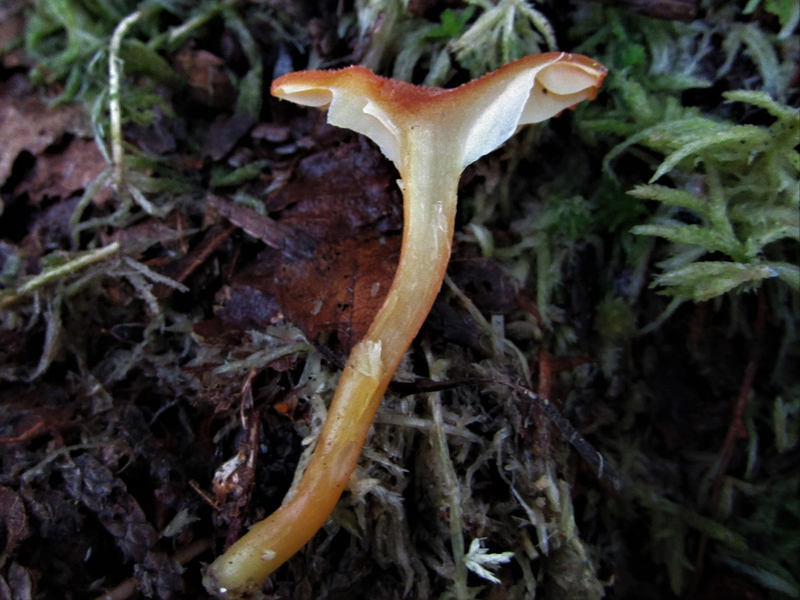 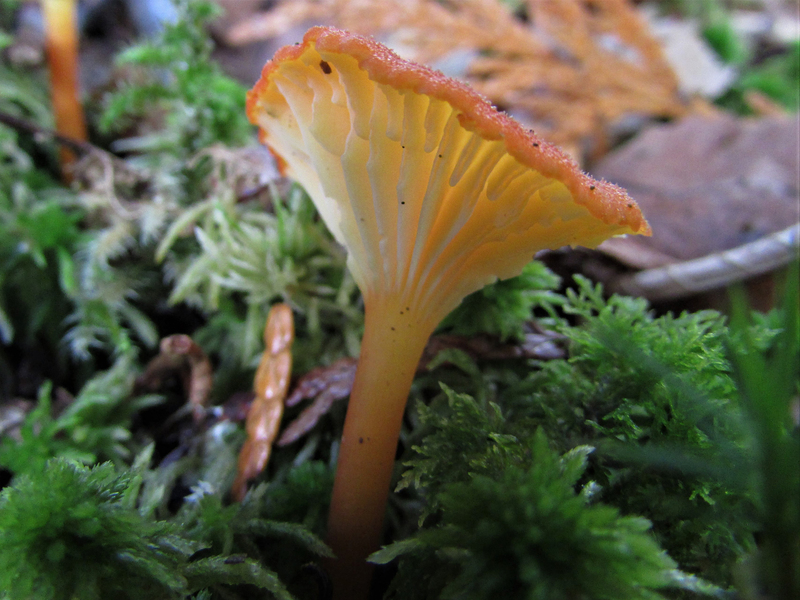 It is now thought that waxcaps grow in association with mosses, before it was thought that waxcaps were saprophobic living on decaying organic matter.